Today I choose to see an insect that inspires awe and a little bit of fear every time I look into its bulgy eyes as it slowly and hypnotically waves its front legs. 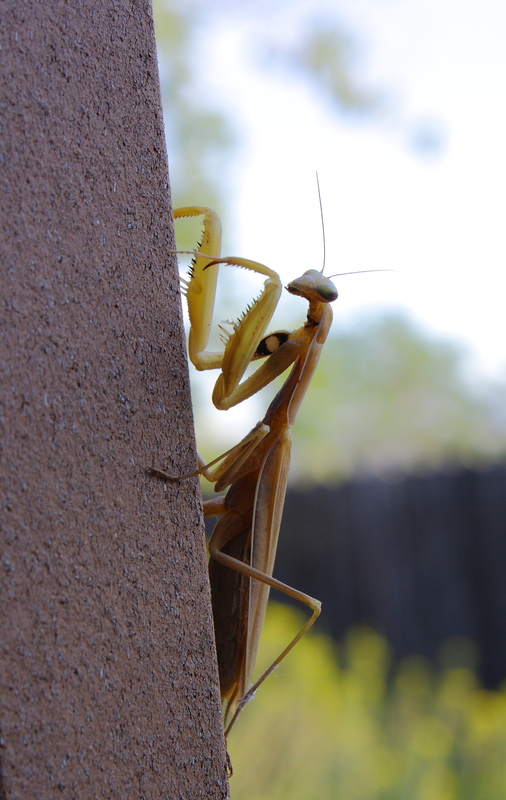 Is there anything trippier than a praying mantis? They are definitely both creepy and fascinating! Absolutely. And there’s almost a delicate nature to that creepiness.